According to the Ministry of Culture, Sports and Tourism, the World Heritage Committee announced the listing during its yesterday’s session in Doha, Qatar. 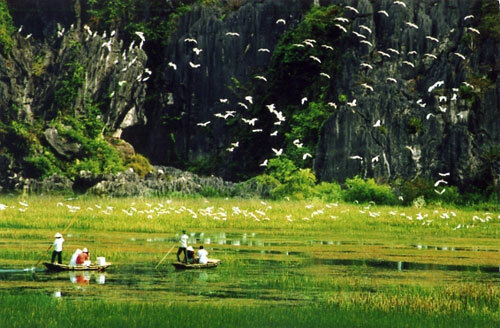 Nestling on the southern shore of the Red River Delta, Trang An is a resplendent complex of limestone karst peaks which are permeated with valleys, including submerged ones, and surrounded by steep, almost vertical cliffs. 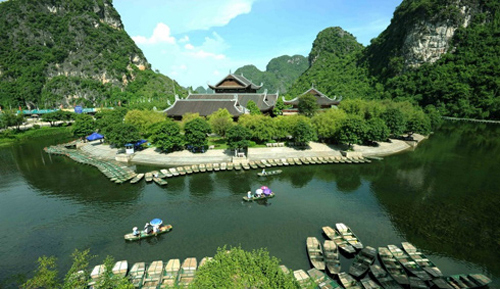 The Trang An complex boasts several locally-recognized sites like the Trang An ecotourism site, Tam Coc – Bich Dong, Bai Dinh pagoda – the largest of its kind in the country – and Hoa Lu, Vietnam’s former capital in the 10th and 11th centuries. The area is also home to temples, pagodas, paddy fields, villages, and other sacred sites. In May 2012, Trang An was recognized as a national heritage site, and four months later, the culture ministry submitted a dossier on the complex to the UNESCO for its recognition as a World Heritage Site.